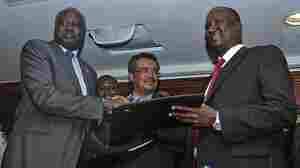 January 23, 2014  The agreement is aimed at ending five weeks of bloodshed that has claimed more than 10,000 lives. It is hoped the deal is a first step toward a broader peace agreement in the world's newest country. January 14, 2014  At least 200 refugees, mostly women and children, have died in the ferry accident near the northern city of Malakal. January 2, 2014  The talks in Ethiopia will focus on a cease-fire, as well as political prisoners and the 2015 presidential elections. But the fighting in the world's newest country continued even as delegates gathered. December 31, 2013  The conflict pits the country's president against his former vice president, who is accused of plotting a coup. But the violence in the oil-rich nation also has tribal and ethnic dimensions that threaten the world's newest country. 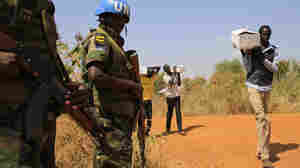 December 28, 2013  A senior official in South Sudan said Saturday that government troops will attack the main rebel stronghold if the rebels turn down a proposed cease-fire. The government had offered a truce on Friday to end two weeks of ethnic violence that has killed more than a thousand people. December 27, 2013  The government says the former vice president is mobilizing an army of youth to seize key cities in the newly independent nation. 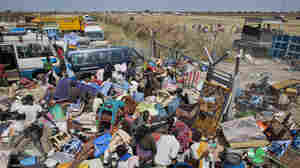 The United Nations is not sure it can protect the thousands of people staying at its compound who have been displaced by recent ethnic fighting. Mass Graves Discovered In South Sudan; Is Civil War Coming? December 24, 2013  Hundreds of people have already been killed and thousands more have fled their homes. 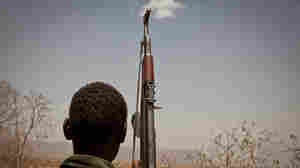 The power struggle that's underway has raised fears of a retreat into tribalism and the outbreak of a full-fledged war. December 23, 2013  The Pentagon says it's sending the Marines for a possible mission to evacuate Americans inside South Sudan, where political and ethnic violence has claimed hundreds of lives and left hundreds of thousands homeless. December 22, 2013  So far about 380 American officials and private citizens and 300 foreign nationals have been airlifted from the country. August 21, 2013  In the desperately poor country, some 60,000 informal miners are working by hand to unearth an estimated $660 million worth of gold each year. The government is hoping to lure international mining companies to carry out the search on an industrial scale. 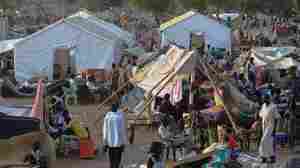 August 24, 2012  More than 100,000 people have fled to refugee camps in South Sudan to escape fighting in Sudan and find food. Heavy rains have depleted supplies and raised mortality rates above emergency levels. The United Nations has launched emergency airdrops of food to help the refugees. April 29, 2012  Sudan has declared a state of emergency as tensions mount along the disputed border it shares with its new neighbor, South Sudan. Are the two nations headed for war? 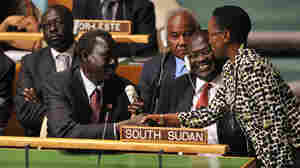 July 14, 2011  Newly independent South Sudan was welcomed to the United Nations Thursday, days after the largely Christian East African nation formally seceded from Arab-dominated Sudan. But many questions linger over the young nation. July 11, 2011  In the first hour of Talk of the Nation, the politics of the debt ceiling, and the final edition of the British tabloid News of the World. In the second hour, the future of South Sudan, and the future of synthetic organs.